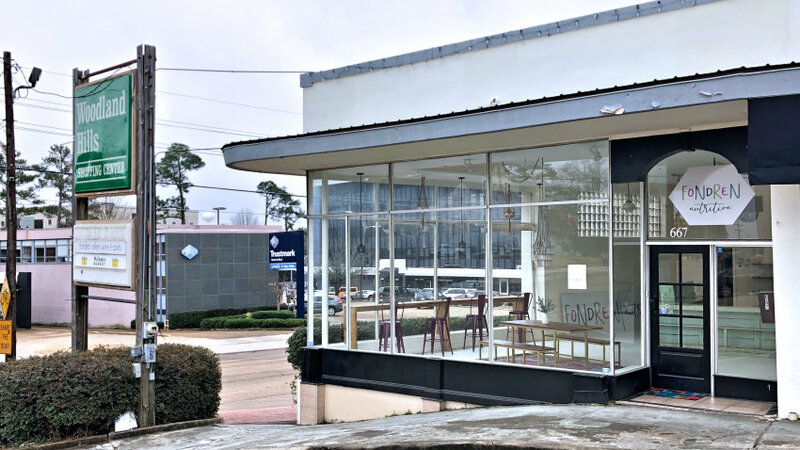 Fondren Nutrition plans to open Thursday, February 7, 2019. The shop will open on Thursday Friday on the eastern end of the Woodland Hills Shopping Center, more recently home to Au Courant and M. Nicholas Collection. Owner Jessica Aldy and her mother Melissa Aldy join a network of sister shops all across the metro area (the closest, LeFleur East’s Fierce Nutrition) to bring a line of low in carbohydrates, low in sugar and Keto-friendly shakes to the neighborhood. The shakes contain no dairy and no milk products. Most all shakes are gluten-free and range between 200-250 calories. The base powder provides 24 grams of protein. Then there are the teas. The teas include aloe as a digestion aid and come in flavors like mermaid, Captain America, Ninja Turtle and watermelon Jolly Rancher. They are touted as energy-boosting without the side effects of other energy supplements. Find Fondren Nutrition at 667 Duling Avenue and on Facebook.